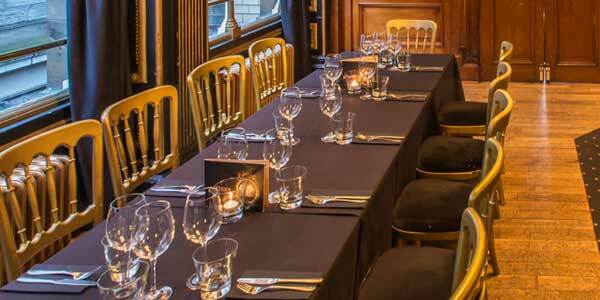 We have provided a small sample of photographs to illustrate each of public and private event spaces. Click the images or headlines to view each gallery. 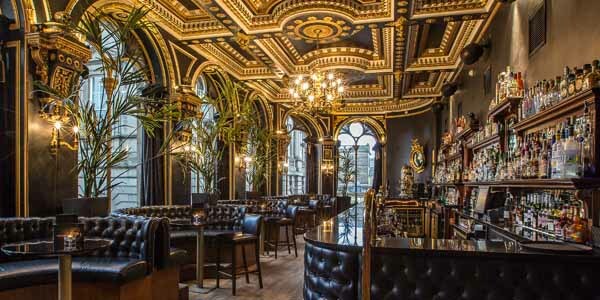 The main bar is always open to the public and features ornate ceilings and large windows, with booth seating opposite the length of the bar. Food is served in the dining room 'til 10pm every day. 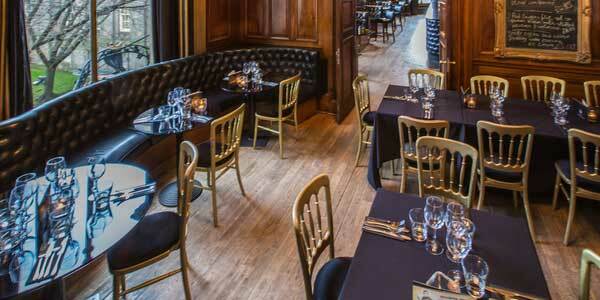 It can be used for events, and as overflow seating from the main bar once the kitchen has closed. Wood-panelled and intimate, this room is used for small private events such as meetings, mixology classes, or small group private dining. It can be used with The Ballroom, or separately. Our largest single event space is flexible and fully equipped for dining, live music, clubs, parties, business evenets and more. It is adjacent to The American Bar. 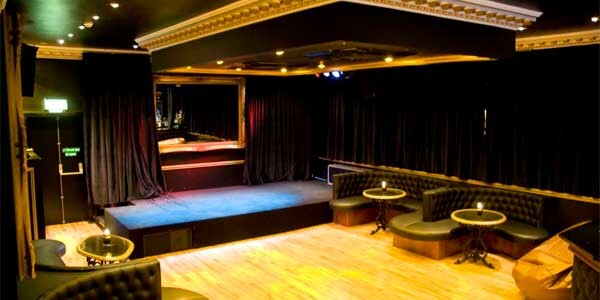 A self-contained events space with character, located on the first floor. Fully equipped for live msuic, clubs, parties, celebrations and all types of event. 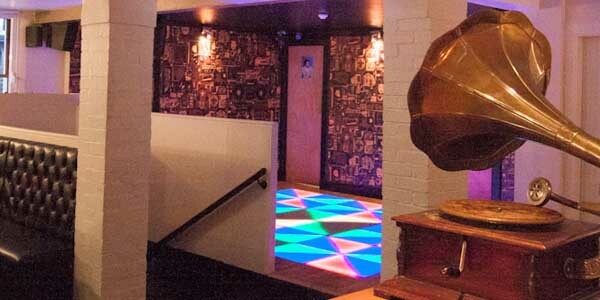 A funky self-contained events space and function room, equipped for parties, with bar, toilets, DJ system and illuminated dancefloor.